Back in March, Donald Trump claimed in a series of tweets that then-President Barack Obama was wire-tapping Trump Tower during the election. They weren't backed up by any evidence, and House Intelligence Committee Chairman Devin Nunes has since said that the information he has viewed didn't back up Trump's claim. James Clapper, Obama's Director of National Intelligence, as well as FBI Director James Comey and National Security Agency chief Admiral Mike Rogers, also all rejected the accusation. Twitter was pretty impressed by the burn. 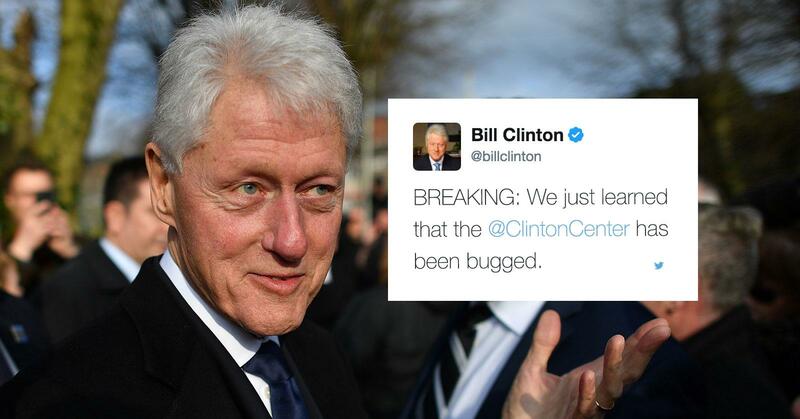 @billclinton @ClintonCenter pretty sure I got the bug wrong. Don't @ me. @billclinton @ClintonCenter There's been lots of NSA testimony about how FISA warrants allow for "two hops." All makes sense now. If you're wondering why Bill Clinton is next to a giant grasshopper, it's because the Clinton Center in Little Rock, Arkansas, is currently having an 'Xtreme Bugs' exhibit.